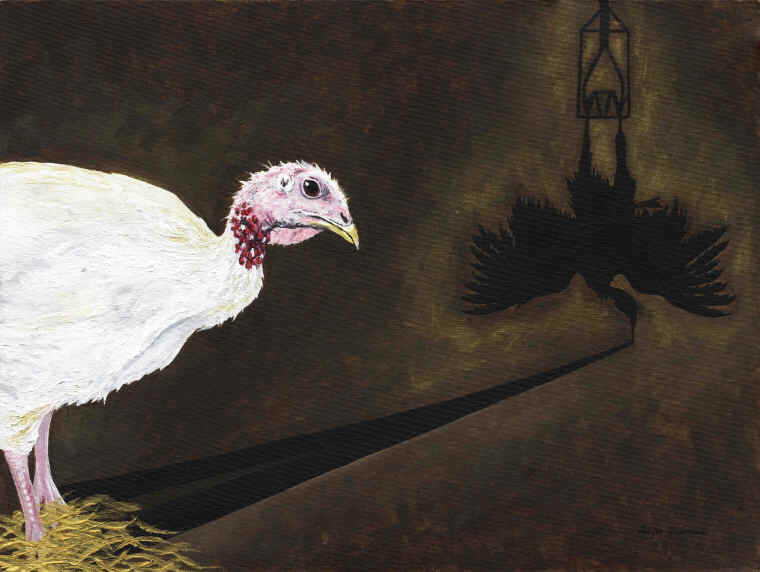 (Artwork - 001) For farmed animals, their deaths foreshadow their lives. From birth, their future is cast and looms over them their entire, short lives. Like a shadow, their fate is inescapable. They are mutilated without painkillers, routinely and often maliciously abused, and finally, brutally killed in industrial slaughterhouses where speed and maximum profit are the only concerns.